Does a Park Home need an EPC (EPC’s)? We recently visited a park home for sale on Willowgrove Park (a holiday and residential park) in Preesall, Lancashire. Surprisingly, the estate agent selling the home stated the owners needed an EPC (Energy Performance Certificate) when selling a park home. So does a park home need an E.P.C. (Energy Performance Certificate) when on the open market to sell? As from 30th June 2011, The Department for Communities and Local Governments required EPCs for holiday lets in England & Wales. As with other requirements set by the European Energy Performance of Buildings Directive (EPBD), this only applies to buildings which qualify. Mobile homes (i.e. park homes and lodges), caravans and other ‘temporary’ structures are considered exempt. The DCLG published ‘Questions and Answers’ on EPCs for holiday lets. We have taken some of the information to help answer this question, explaining if and when a holiday home needs an E.P.C.? Is an EPC neDo you need an EPC for holiday accommodation? Whether or not holiday accommodation requires an EPC depends on the physical structure of the property in question. An EPC is required for a property that is rented out as a holiday let. However, in the majority of cases this will refer to a bricks and mortar property such as a cottage, or an apartment. While landlords, or those renting out their property for a short period as a holiday let, might not consider this type of ‘holiday let’ to be the same as a traditional tenancy agreement, certain similar conditions apply, and an EPC is one of them. Renting to holidaymakers – Do I need an E.P.C.? If a property has walls, a roof, and an energy conditioned interior, an EPC is required. This is also the case with holidaymakers. Holiday lets are just one type of letting agreement. The Housing Act 1988 defines a holiday let as a ‘tenancy the purpose of which is to confer on the tenant the right to occupy the dwelling-house for a holiday.’ When we say property however; mobile homes, caravans and park homes are exempt from the required EPC. The properties that are stated as required the are solid structures as opposed to those considered temporary. Are mobile homes (park homes) exempt from an EPC? Mobile homes (park homes and lodges) are exempt from requiring an Energy Performance Certificate. These types of mobile structures are not considered to meet the property criteria that require the certificate. If your estate agent has advised you to get an EPC for your mobile home, caravan or holiday park home, you should contact them for a reimbursement as it is not required. 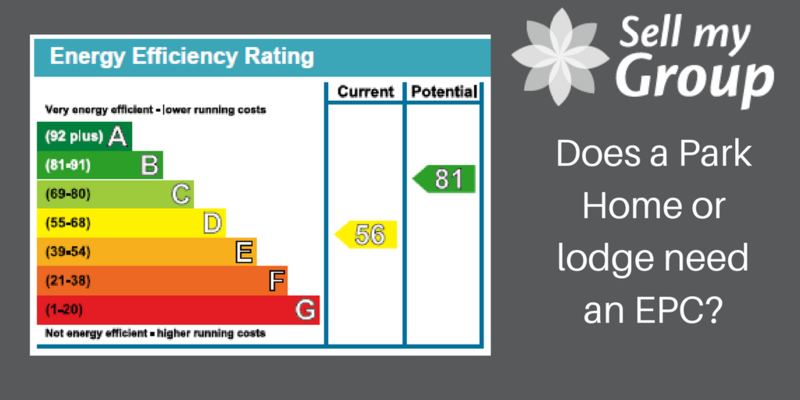 What does an EPC tell us about qualifying holiday lets? When letting out a holiday cottage, apartments, or any other solid structures to holidaymakers, an EPC is required. The certificate itself will be several pages long, and contain vital energy information about the property. On a scale from A to G (where A is the most efficient), the energy efficiency of the property will be rated. The environmental impact of the property (also on an A to G scale) will also be rated. The document will also show the ratings that could possibly be achieved if changes were made. The information collated can be used to potentially help cut fuel bills. They can also cut down on carbon emissions, and improve the overall energy efficiency of the building. Whose responsibility is the Energy Performance Certificate? A landlord is responsible for getting the property an EPC which is valid for 10 years. However, if any changes are made to the property within this time, it is a good idea to update the EPC. This maybe changes to a new heating system, replacement windows or new carpets as energy efficient factors may vary. 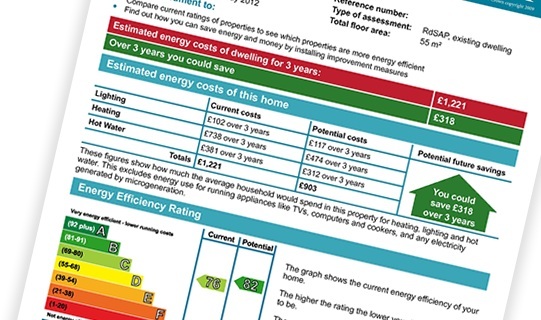 Many landlords have had concerns as to the necessity of an EPC certificate. It stands to reason that holiday makers do not choose a holiday let based on energy efficiency. Nor do holiday makers care about the fuel bills that they are not responsible for paying. Despite this, the requirement to obtain the certificate still stands. Are there any advantages to holding an EPC? Despite some grumbles, there are positive aspects that many landlords are able to take advantage of. If a property has a good energy rating, then these green credentials can be used to help market a property. It can be seen as important to have a small carbon footprint. For those holidaying in Winter, it provides reassurance of a warm holiday home. Overall, it gives the impression of an updated and well maintained property. An EPC can also identify if a property is eligible for any government grants. An example being for cavity wall insulation, which can save the landlord money, and ultimately reduce the future fuel bills. Holiday park homes, mobile homes, holiday chalets and static caravans are all exempt from needing an EPC. These are considered temporary structures, and are not required to obtain an EPC before being let out to holidaymakers. If an estate agent informs you that you are required to obtain such a certificate before letting out your holiday home, they are misinformed. We recommend you refer them to the guidelines published by The Department for Communities and Local Governments and the European Energy Performance of Buildings Directive (EPBD). If you have already obtained an EPC on the advice of an estate agent, then you should ask them for a reimbursement as park homes, mobile homes, holiday chalets and static caravans are all exempt from needing an EPC. If you are thinking of selling your park home or lodge and you want to know your rights when selling, you can contact the Sell My Group team here.